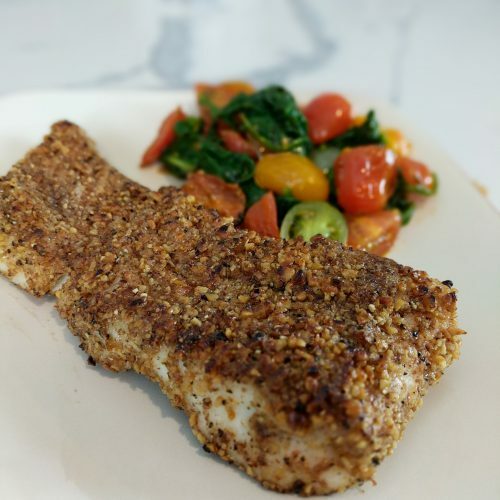 This nut crusted halibut recipe is crunchy, light, flaky and everything fish aspires to be! It is super easy to make and is packed with protein and healthy fats. A 7 oz serving of fish packs 46g protein, 4g carbs, 31g fat (healthy fat!) and 475 calories. 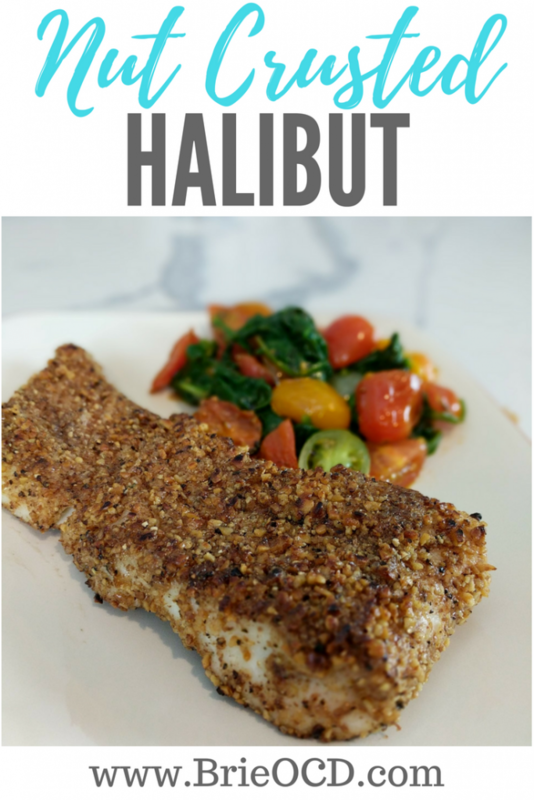 Halibut is a great source of Omega 3 Fatty Acids as well as many micronutrients. Walnuts contribute positively to cardiovascular and bone health, metabolism, managing diabetes, preventing cancer, fighting inflammation and supporting healthy skin. This recipe is dy-no-mite!! I buy my nuts at Trader Joe’s. The bags are not outrageously huge (like Costco) and they are a great value for the price. If you have ever looked at nut prices in the local supermarket you would be shocked to see how expensive they can be! Trader Joe’s has a great assortment and a great price. I buy my halibut at Costco! They carry wild Pacific halibut for $16.99 a pound. 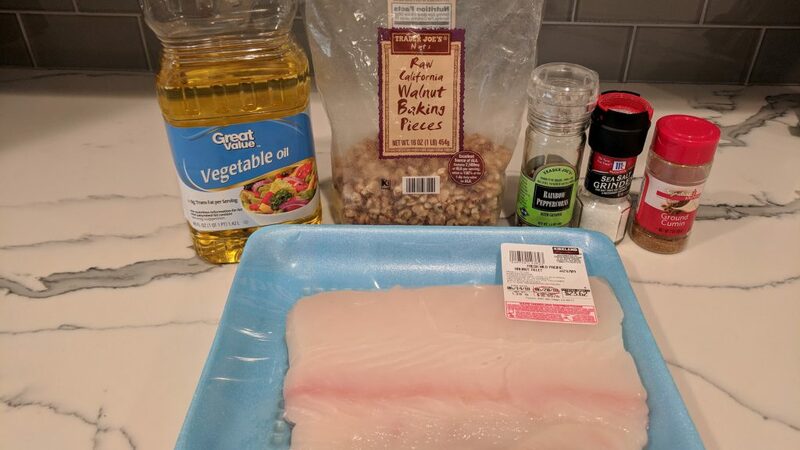 I cut the fish into my desired portion size and place the extra fillets in individual sandwich bags and put in the freezer to use at a later date. Make sure you start preheating the oven ASAP. It takes about 20 minutes to reach 450 degrees. 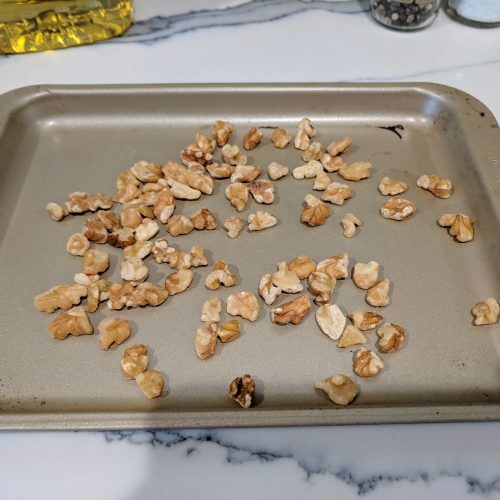 Throw in the walnuts while the oven is preheating. Be careful not to burn the nuts! 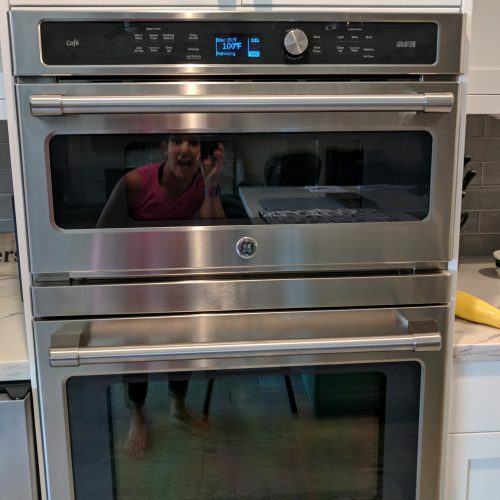 I threw mine in for about 10 minutes but all ovens are different so just keep an eye on them. 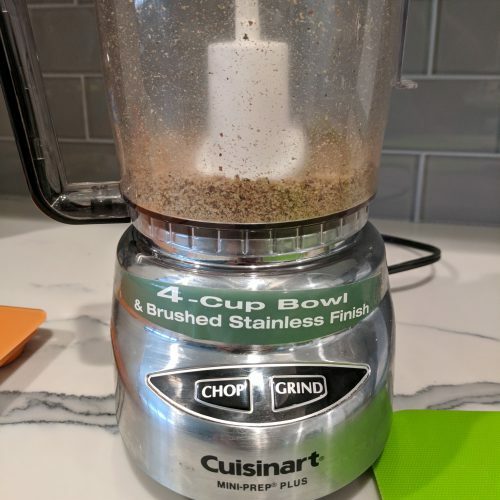 Having a mini food processor (click here for the one I love) makes this recipe a breeze. If you don’t own a food processor, then throw all of the ingredients in a plastic bag and start smashing! 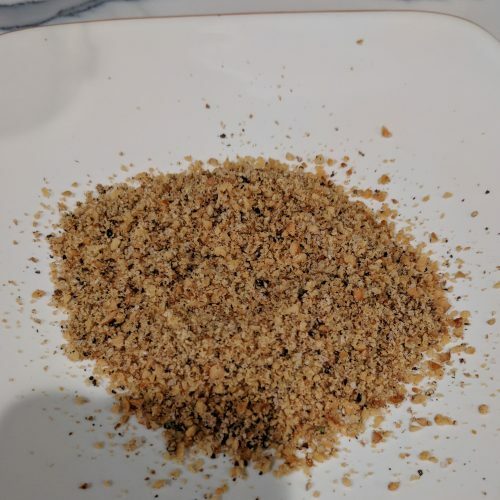 add walnuts, cumin, salt and pepper to small food processor and chop until it forms a crust like, coarse texture. 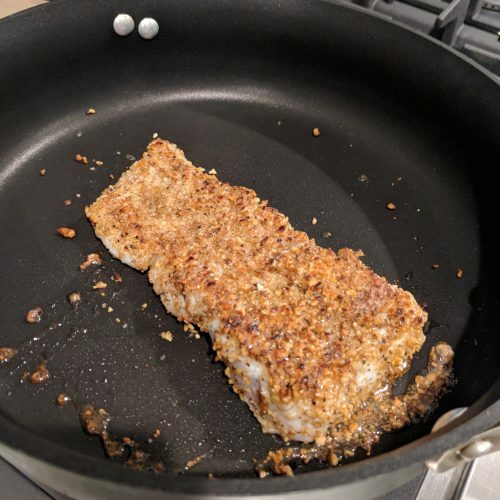 dump crust mix onto a plate and press each side of the halibut into the crust mix. 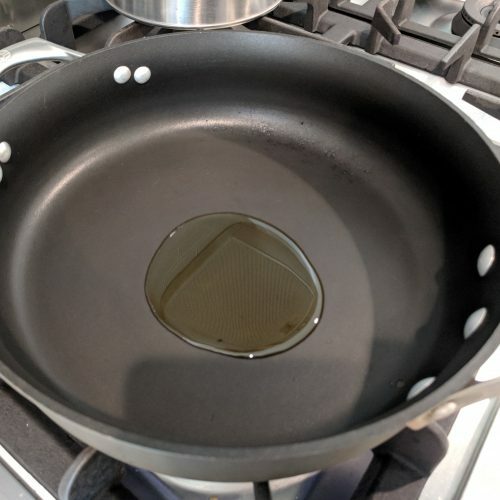 heat skillet over medium high heat. Add vegetable oil and let it get hot. add fish and sear 2 minutes per side until brown and crusty. place fish in the oven for 5 minutes to cook all the way through. Serve with your favorite side or tomato/spinach sauteed goodness. Enjoy!